Warning: Zombies, Run! Book Detected – Zombies, Run! Some exciting news from the world of Zombies, Run! – we’re making a book! It’ll be published by Penguin in autumn 2016, will be set in the Zombies, Run! world, and will be mostly written by me, Naomi Alderman (with assistance from some of our other wonderful ZR writers). There’ll be a host of illustrations by our fantastic illustrator Kascha Sweeney – and a disclaimer that there’s no such thing as a ‘canon appearance’ for any of our characters! It’s going to be a ‘non-fiction’ book from the ZR universe. The subtitle is “keeping fit and well during the current zombie emergency”. I’m intending for the book to be funny, characterful and with some genuinely good advice about health, fitness and living well! As pioneers of better living through zombies, I know we can bring our expertise to bear in helping our readers exercise at home and make good apocalyptic nutrition and lifestyle choices. After all, the human race needs all of us to keep as well as we can if we’re to survive as a species worth saving. I’m incredibly excited to be writing this book. It’s a wonderful opportunity to expand the world of ZR and explore the place where our characters have been living. And there’ll be a few surprises and Easter eggs in there for fans too! And just in case you’re worried, this is also your official confirmation that yes, Runner Five Will Return for a new season of Zombies, Run! next year. In Season Five we’ll travel further than we ever have, meet new allies and old enemies, and uncover secrets we thought we’d never discover. Season Five: it only gets better. 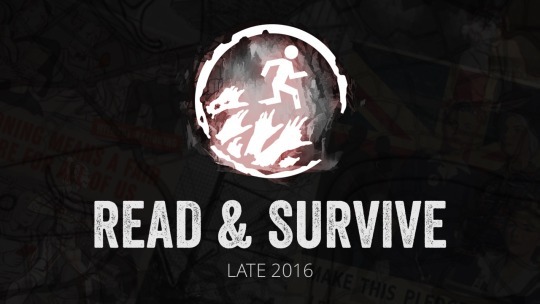 Note: We’ll be announcing the title of the book later – it’s not actually going to be called ‘Read & Survive’! Previous Post STS games now on Spooky Sale for $0.99!